hand made chocolates for your Halloween fun. 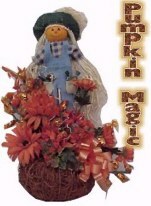 Candy blossoms lie tucked among the brilliant leaves and mum blossoms atop a straw pumpkin. A spooky vase filled with candy's for the little goblin. A perfect centerpiece for your festivities. 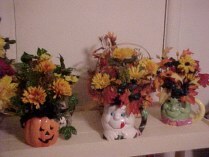 Halloween Mugs lend themselves to festive arrangements. Peerless candies appear to surprise the closest lookers. 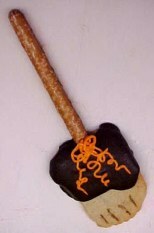 Chocolate topped sugar cookie with a pretzel handle. Large 3 oz. two flavored sucker. 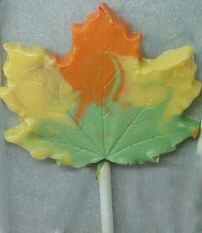 A four inch wide multi colored leaf. Available with or without stick. Perfect for any fall gathering. A yummy sucker of chocolate and orange colored chocolate. Yummy butter rum flavored cookies with batty sprinkles.